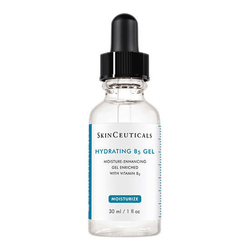 Protect the skin against the sun's damaging UV rays, and prevent signs of aging without irritation or clogging pores. Protect and Prevent! 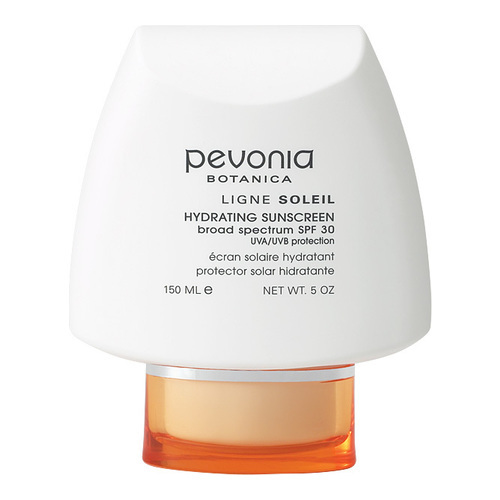 Pevonia's Hydrating Sunscreen SPF 30 protects your skin from the sun's harmful UVA & UVB rays. 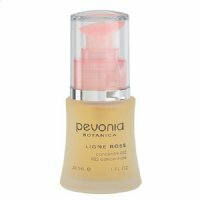 Enriched with Vitamins C, and E, this multi-function product safeguards your skin, counteracts sun damage, and prevents premature aging on your face and body. Zinc Oxide 8%, Octinoxate 7.5%, Octisalate 5%, Titanium Dioxide 1.5% Inactive Ingredients Water (Aqua), Glycerin, Cetearyl Glucoside, Glyceryl Stearate, Tocopheryl Acetate (Vit. E), Dimethicone, Cyclopentasiloxane, Panthenol, Caprylic/Capric Triglyceride, Calcium Ascorbate (Vit. C), Sorbitol, Camellia Sinensis Leaf Extract, Aloe Barbadensis Leaf Extract, Phenoxyethanol, Ethylhexylglycerin, Rose Extract.